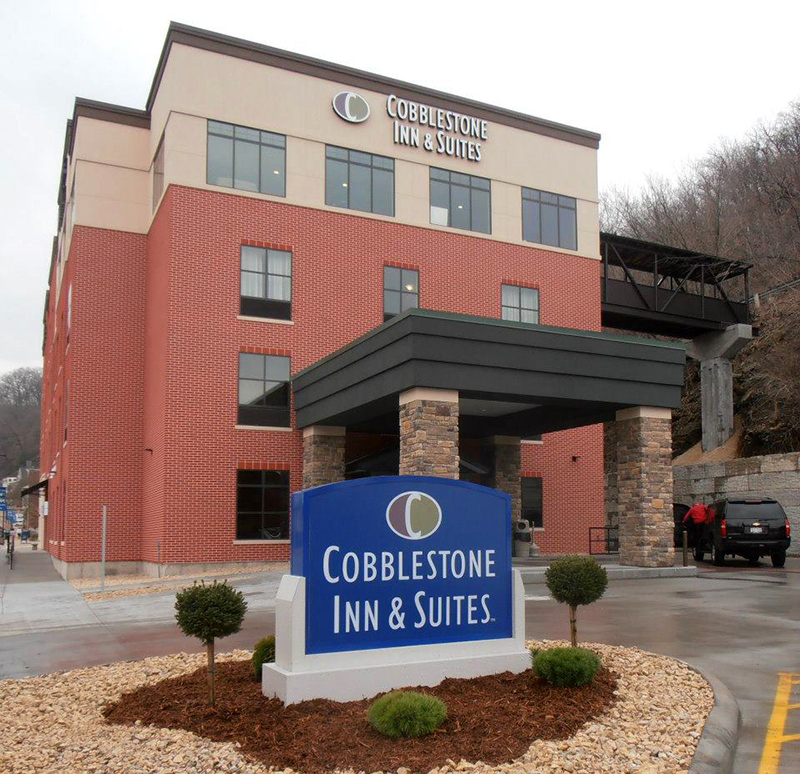 At the Cobblestone Inn & Suites in Marquette, Iowa you will feel at home with microwaves, refrigerators, luxury linens, Wolfgang Puck Coffee, and flat-panel televisions in every guest room. We offer our guests the amenities and services they need with 24-hour Wolfgang Puck Coffee Service, Complimentary Hot Breakfast Buffet, Guest Laundry, 24-hour Onsite Convenience Store, Fitness Center, High Speed Wireless Internet Access, onsite Beer and Wine Bar, and so much more! At the Cobblestone Inn & Suites, you will receive, “Big City Quality, Small Town Values…” each stay. Make your reservations today.